Andrew McMahon in the Wilderness and New Politics are currently co-headlining the Wilderness Politics Tour, presented by Journeys. On Halloween, this tour came through Dallas. This was the first time I'd photographed (or even been to) a Halloween show, and it was a total blast! 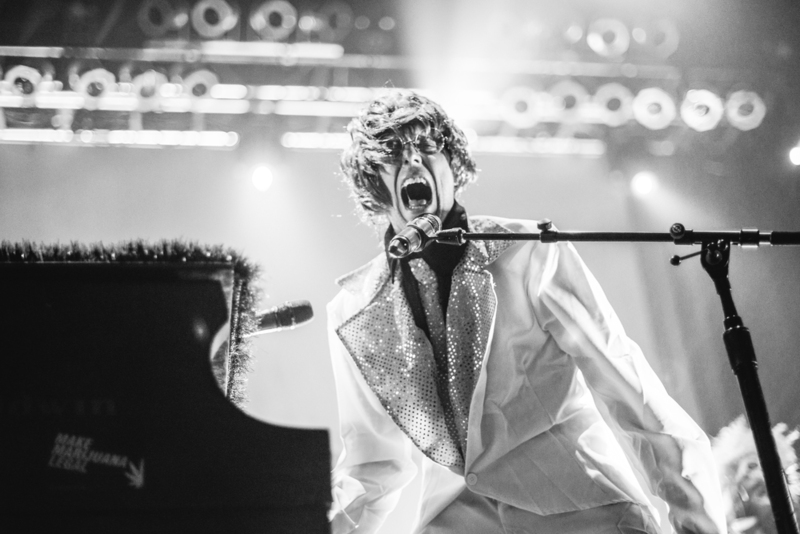 We had Andrew McMahon as Elton John, bassist Mike Wagner as a giant foot, keyboardist Zac Clark as "Glow in the Clark," and drummer Jay McMillan as a cowboy. The AMitW guys were joined by their friends in New Politics at the end of the set to help them with an old Jack's Mannequin hit, "La La Lie." I also had the chance to spend some time with both bands before the show - click here to check out my backstage blog!